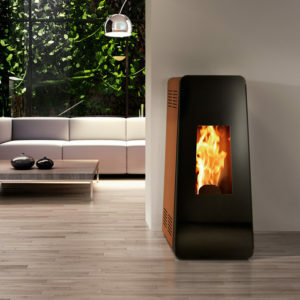 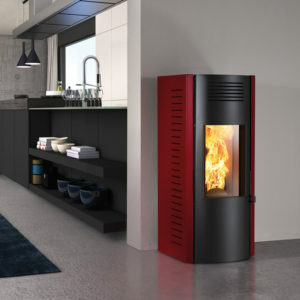 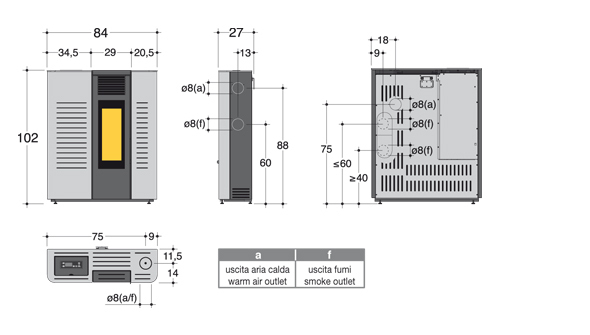 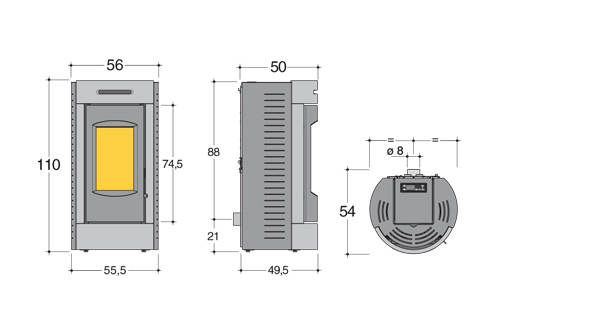 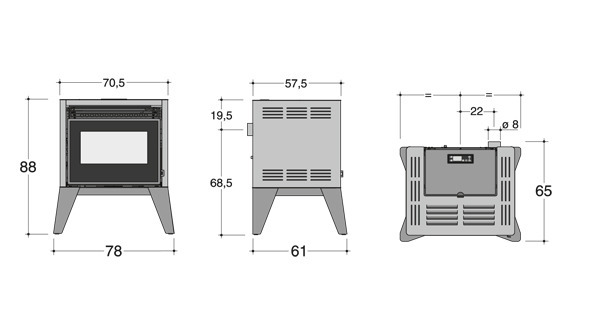 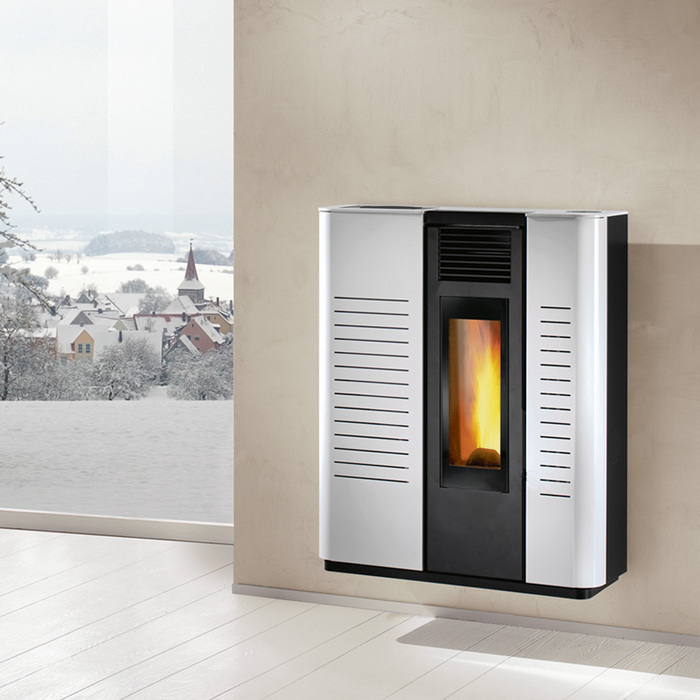 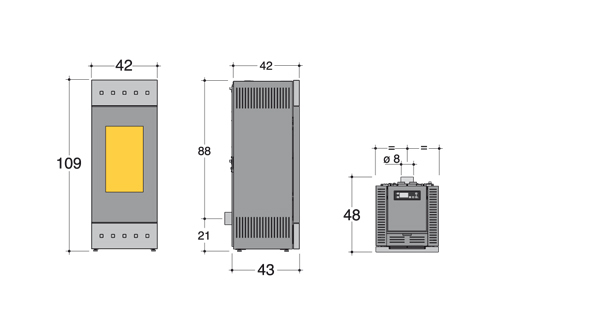 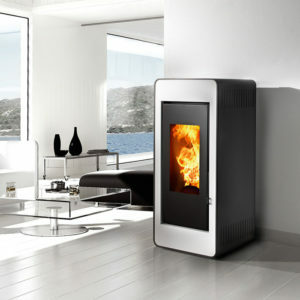 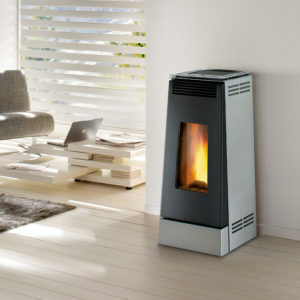 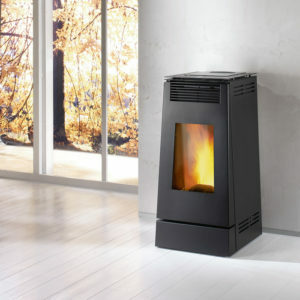 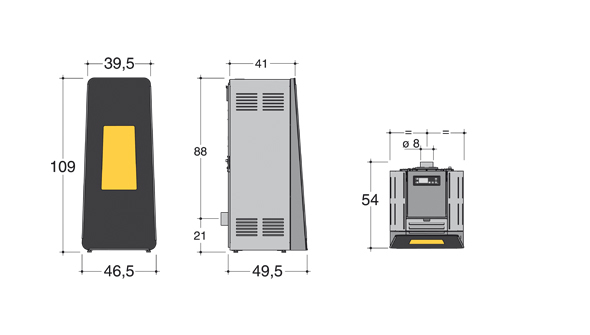 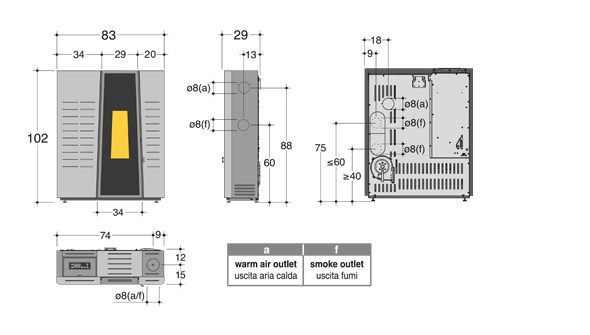 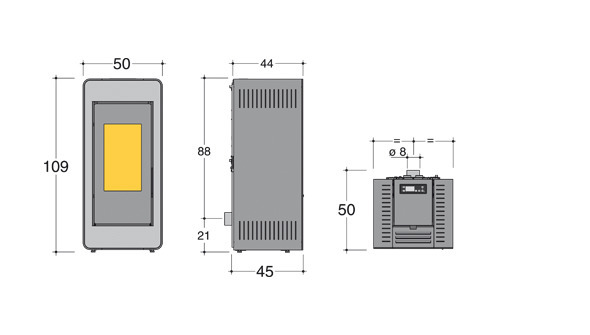 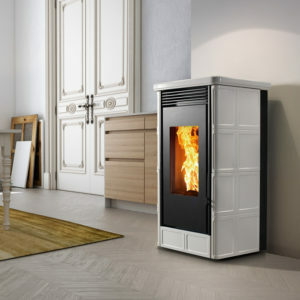 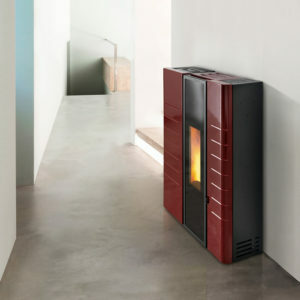 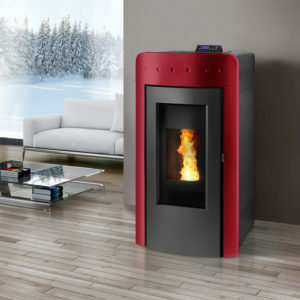 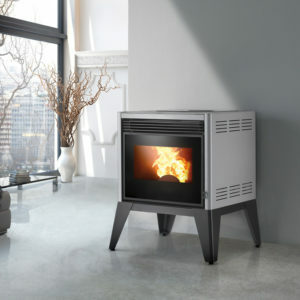 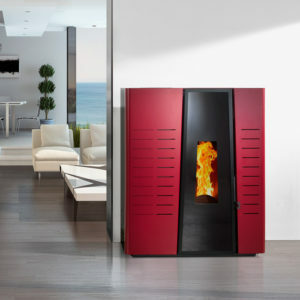 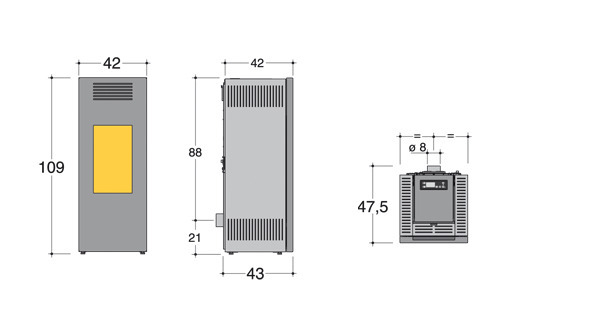 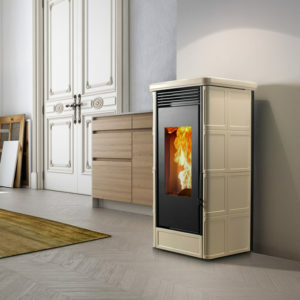 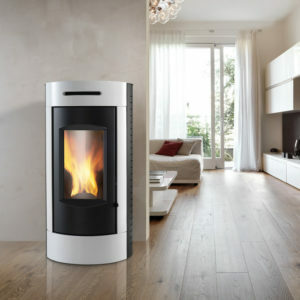 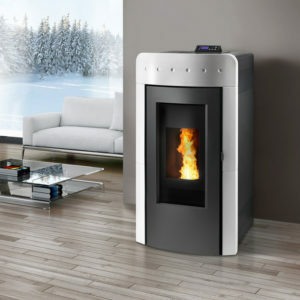 Pellet stove with asymmetric profiles and a soft and linear design; it is marked by the reduced depth. 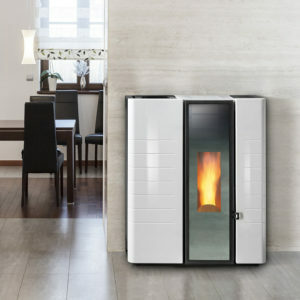 Perfect for reduced spaces. 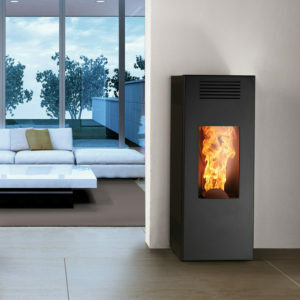 Remarkable the two side panels that surround the door with black painted glass. 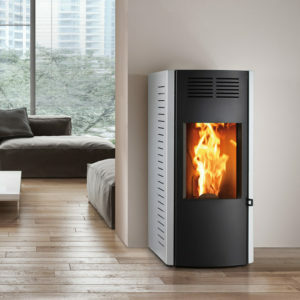 Wide view of the flames and frontal warm air outlet. 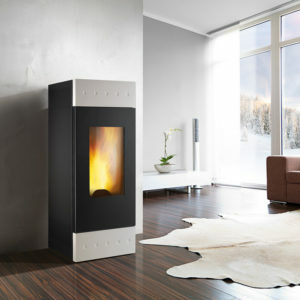 Cladding in painted sheet-steel; structure in black painted steel.